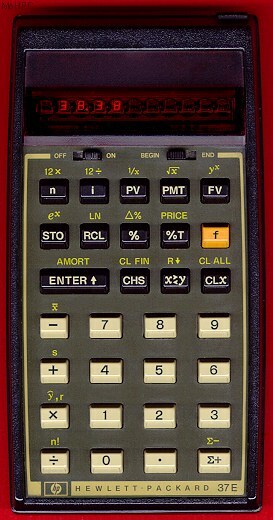 The HP-37E was the lower end business member of the 30 series. It replaced the HP-22 and like most previous business calculators, it was not programmable, relying instead on a wealth of pre-programmed functions. 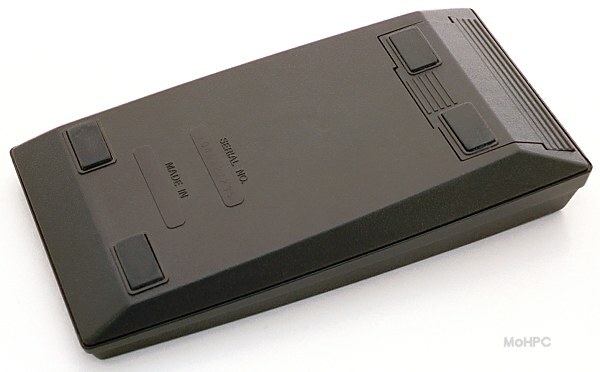 The feature set was very similar to the HP-22. It had a few less registers but also had few more functions like factorial and 1/x and it sold for less than half the price. Collectors will note that unlike previous lower end business calculators, this one is actually rather easy to find. 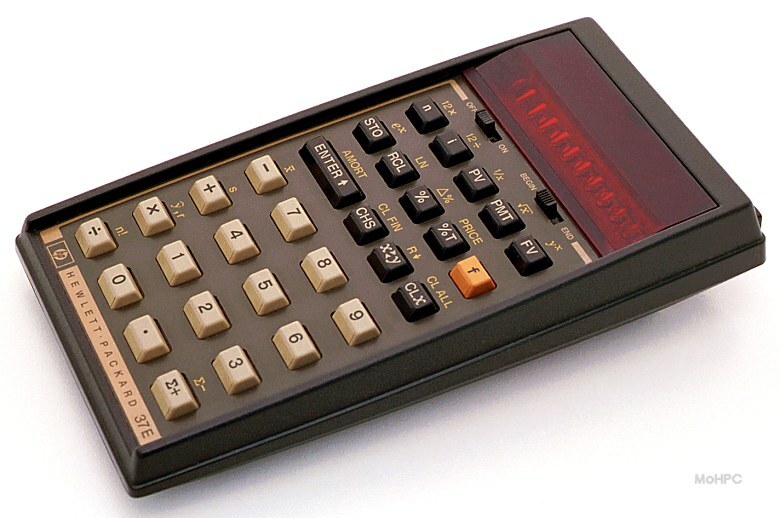 This might be due to the fact that this model sold at a greater discount relative to the higher end model (the HP-38E/C), or perhaps, many business users of the time just weren't ready for a programmable calculator.